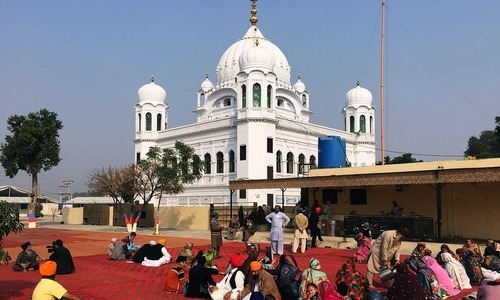 THE Pakistani offer to open a corridor to enable Indian Sikhs to pay their respects at the Gurdwara Kartarpur Sahib in Narowal was seen by proponents of peace in South Asia as a positive step towards fostering an atmosphere of harmony in the region. 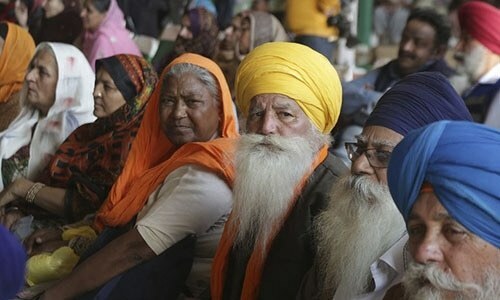 However, the usual politicking — particularly from the Indian side — is creating obstacles in realising a plan that would allow Sikh devotees to visit one of their most revered shrines on this side of the border without a visa. 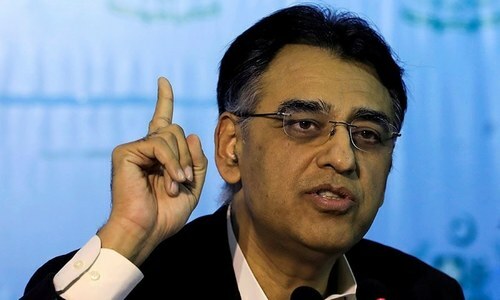 While Pakistan had on Monday shared a draft agreement on the Kartarpur corridor and invited the Indian side to begin negotiations, New Delhi apparently parried the offer by issuing a counter-invitation to Pakistani officials on Tuesday. The Pakistani side was invited to visit India in February or March “to discuss and finalise the modalities” of the corridor. Instead of responding to the Pakistani offer in good faith, India’s approach reflects an evasive, non-serious approach. Since the gurdwara is in Pakistan and this country had extended the invitation, India should have responded positively to the offer. Indeed, throughout Narendra Modi’s time in power, Pakistan-India relations have been in a deep freeze, with bilateral dialogue suspended as India continues to harp on about ‘terrorism’ yet refuses to talk to Pakistan. With general elections in India only a few months away, the BJP-led government is likely shoring up its anti-Pakistan, anti-Muslim credentials by avoiding any positive contact with Pakistan. However, the Kartarpur corridor is a golden opportunity to restart talks on a ‘soft’, people-to-people subject: religious tourism. Suffice it to say, both sides should avoid playing politics over religious places; India should respond positively to Pakistan’s invitation and begin the process for building the corridor. If this experiment succeeds, the process can be taken further; hopefully, similar arrangements can be made for Pakistani pilgrims wishing to visit the revered Sufi dargahs in India, such as Khawaja Moinuddin Chishty’s tomb in Ajmer and Nizamuddin Auliya’s dargah in Delhi, among others. At present, the visa process is arduous and deters potential visitors from applying. This needs to change because when people from the ‘other side’ interact with their neighbours, hatred and propaganda will give way to understanding and harmony. Powerful, hateful lobbies on both sides must be ignored and the path to peace must not be forsaken. India needs to respond to Pakistan’s offer so that work on the corridor can begin in earnest. 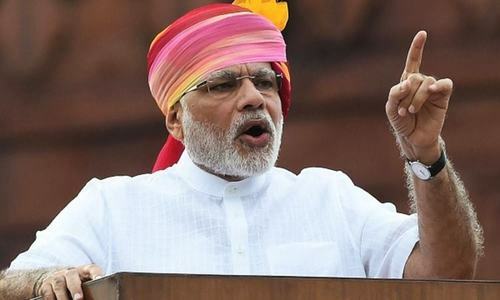 Quite a meaningful Editorial with renowned truth,"Indeed,throughout Narendra Modi's time in power,Pakistan- India relations have been in a deep freeze".What is amazing is that in this Indian Political Party BJP there are no Politicians who would have the courage to take a stand to rectify this? I have a strong feeling the Sikhs can play a major role in this. Kartarpur corridor is not just for Sikhs but for everyone. "With general elections in India only a few months away, the BJP-led government is likely shoring up its anti-Pakistan, anti-Muslim credentials by avoiding any positive contact with Pakistan." If editorial feel so then Pakistan should stop asking for dialogue..
Pakistan's gesture on the Kartarpur corridor is certainly thoughtful and commendable. Ronald Reagan said "Trust, but verify" in context of mutual arms reduction pact with Russia. I think India would like to trust, but verify. There are security concerns India must be comfortable with. Give it time, and it could be a very successful ice-breaker. Respectfully sir. What was the need to say IK bowled a goglee. Its PTI which politicised the initiative. Your perspective is only rigHt until you understand other's perspective. Personal friendships hardly matter in between relationships between two countries. These are the ground realities and pushing them any further is merely frivolous and time wasting. Yet to see Pakistan do anything with an altruistic motive. Pakistan must now withdraw this offer of a corridor at Kartarpur. General Bajwa has compromised the territorial integrity of Pakistan for nothing. 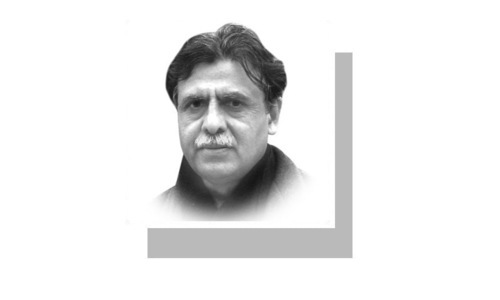 Who started the politics in the Kartarpur opening ceremony? 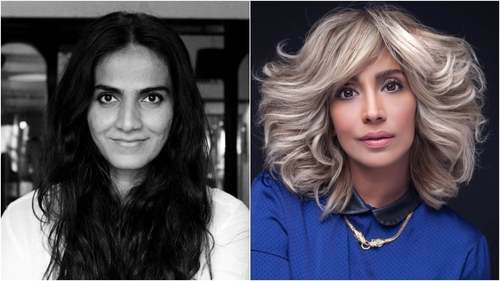 Please stop giving advice to India. India has sent two Sikh leaders, to attend the Kartarpur Corridor opening, and in return, who played politics is well known. @Jamil Soomro, New York City, Didn't Navjot Singh Siddhu played a major role, and got heavily criticized by his own Sikh people. Very bias editorial, all in one cup, India the culprit, but closes its eyes for what his nation said or did. One cannot forget Uri, the real reason for the freeze of bilateral relations. Its Pakistan which lost every opportunity for peace with India, if very properly, micro-analyzed for the last 70 years. @Syed Ahmed Yahya, Dont hope, if play political games, period. Kartarpur is not in India and its in Pakistan, therefore, its Pakpoliticking, with reference to cricket analogy. Sikhism and Hinduism are closely related, as Hindus have got married to Sikhs and vice versa. Sikhs go to Hindu temples and so do Hindus go to Sikh temple. The editorial is good for goofy people, like Pakistanis, who will cherish, this article. Its like crying on a spilled milk. India is carrying on with massive development. Kartarpur corridor, a land in Pakistan, has become an instrument to ferment Sikh sentiment. Lack of trust between two countries. This needs to be settled and make trust between twp countries first. Before accepting the Indian "invitation", Pakistan should first seek clarification on its earlier invitation to India. 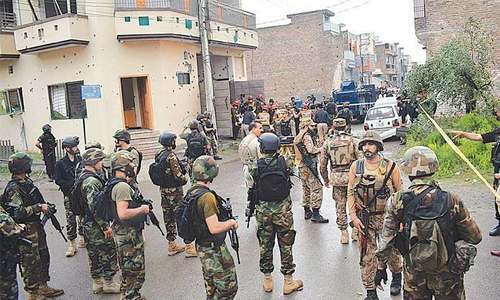 It should explain that it would be practical for the Indians to visit Pakistan since both the majority of the corridor and the Gurdwara are on Pakistan's side. This was the one side of the picture. Indian government should understand the severity of not to build /open kartarpur corridor. This can cause not only hatred feelings in Sikhs community but also it can cause the aggressive movement of khalistan. The blame game should be ended by Indian government. Time has come that Modi government has no choice except to adopt the policy made by IK government. @Qaisar Mahmood Farukh , Modi has tons of choice, when it comes to Pakistan related issues. He consults with others, and then make decisions and conclusions what is best for the nation. Poor Modi government. On one side they need anti-Pakistani propaganda to win votes while on the other side they can not alienate Sikhs who want Kartarpur corridor. @Prateik, It will not be for every one but only for Sikhs who want to visit last place of Guru Nanak Sahib ji. Indians believe very strongly that Pakistan does not engage honestly with India. The peculiar ways that Kartarpur corridor matter came about with Mr Siddhu suddenly appearing in Pakistan without the Indian government's knowledge--is key to India reticence --in that the whole project might bee a Khalistan project that Pakistan is likely top exploit. @Vijendra, : You are right . Actually Pakistan's actual motive behind the Kartarpur corridor is to revamp the Khalistani Movement - India knows this very well.